A few years ago, I pinned a Christmas activity on Pinterest that has become one of my most favorite traditions! I changed it up just a little to mesh with my world, but the idea is still the same. 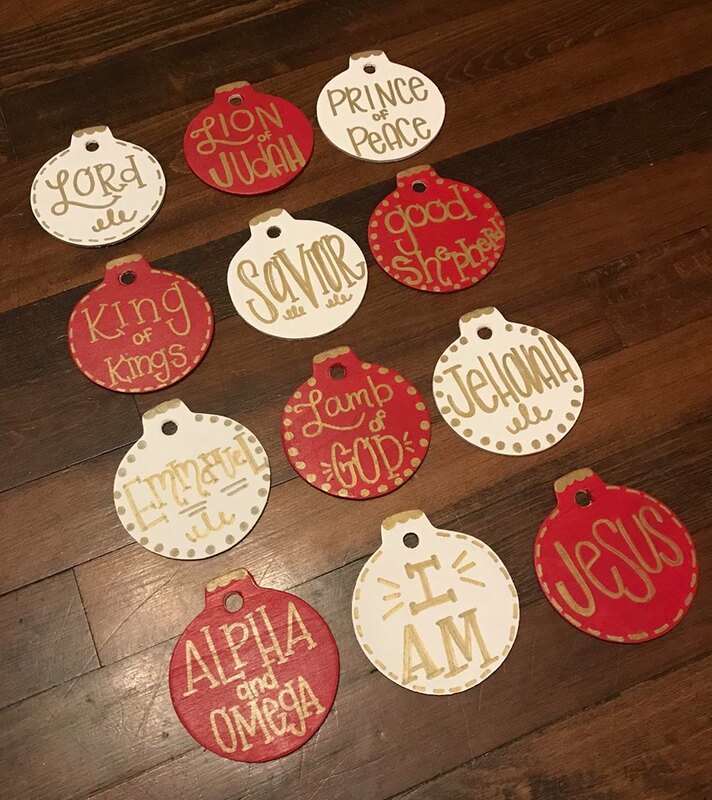 I wrote a few different names of the Lord on some ornaments. At night, before I go to bed, I choose one of the ornaments. I then look up scriptures about that name, reflect on it, and thank the Lord for His goodness in that Character I see through His name. This simple activity “resets” my mind in the middle of the Christmas craziness to reflect on who the Lord is, how powerful He is, and how above my circumstances He is. We have actually made a “Names of the Lord” tree in Room 10. Come check it out and reflect on who the Lord is! Here are some names we are using, their simple definitions, and scriptures you can use to help you study more about that particular name. Merry Christmas! May you know Jesus in a new way this season, and may your 2019 be enabled out of his abundant grace.